Holidays are made ten times better when children come along too. Their inquisitive minds and enthusiasm to explore bring new dimensions to a getaway for the whole family, which is why my beach houses are great for seaside family self-catering holidays. The local area surrounding my beach houses lends itself to fantastic holidays with children. Being right beside the sea means endless scope for exploration along the beach, and sunny days spent paddling and building sandcastles. A walk along the coast in either direction brings you to fantastic child friendly cafe’s, giving little ones a tasty initiative for a stroll. For those up to a longer walk, the downs is just a stones throw away, and they provide the ultimate view across the south coast. The houses themselves cater for kids perfectly, with all houses including rooms ideal for kids. 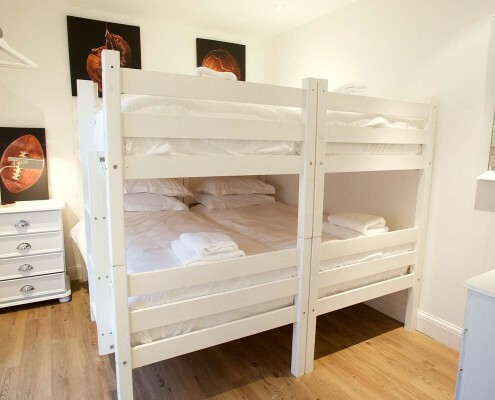 Cool bunk beds can be found at Angmering-On-Sea, Coral and The Hamptons beach houses, each with that beautiful Luxury Beach House touch. Sky TV and Wifi is on hand to keep kids entertained when the weather isn’t so kind, and for very little guests, there are cots and highchairs at every property. 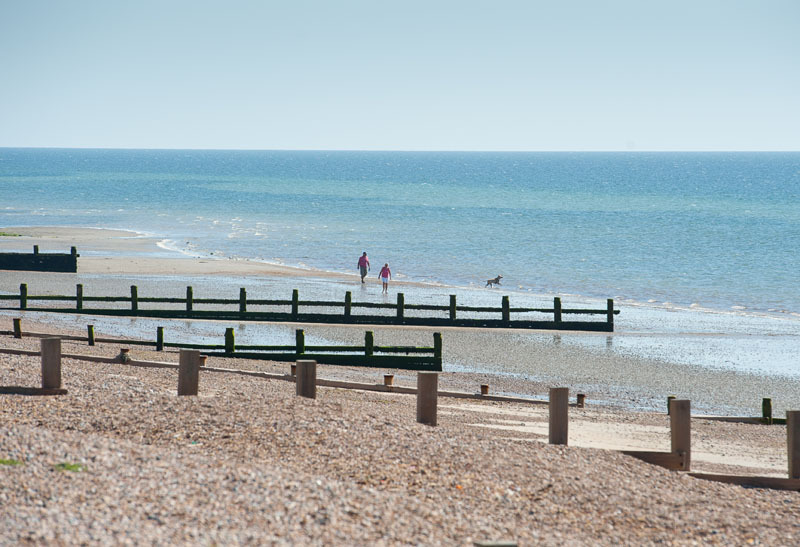 Just a short distance away from the Beach Houses, there are plenty of destinations to head to for fun family days out. 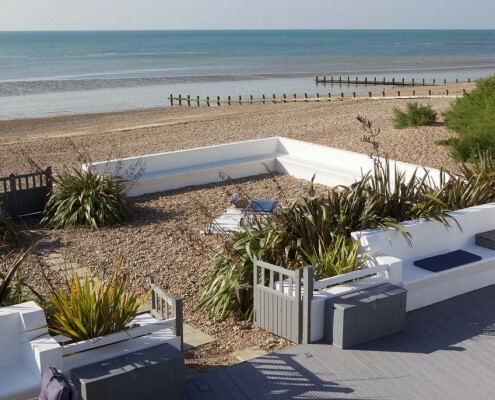 Out of Bounds, an indoor play and entertainment centre is just over two miles away in the neighbouring town of Rustington, and Harbour Park in Littlehampton sits just five miles away in for a beachside amusement experience. Arundel is a town bursting with fun activities, which includes The Flying Fortress, a play frame entertainment centre, plus the Arundel Wetland Centre for a day getting up close and personal with nature. For those interested in times gone by, Arundel Castle is the perfect place to immerse young minds in local history. 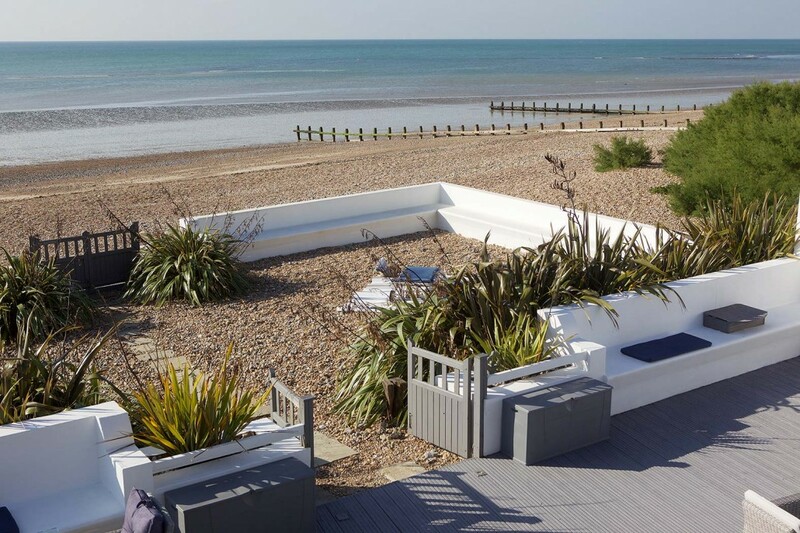 Time spent with loved ones is precious, and this lies at the heart of Luxury Beach House Rentals, which is why we love offering seaside family self-catering holidays in West Sussex. 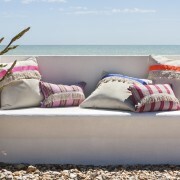 Enquire now to find out which of my beautiful beach houses could provide your family with the perfect holiday.